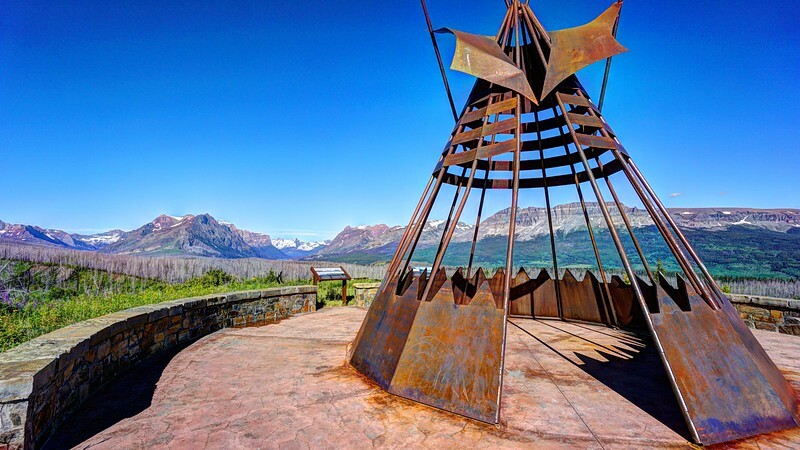 The Blackfeet Indian Memorial is located south of Saint Mary, Montana. Here stand two steel teepees with various placards and signs covering the history and culture of the Blackfeet. Out past the meadow that surrounds the Memorial stands thousands of trees burned in a massive wildfire a few years back and still future surrounded by mountains on all sides. Off in the distance capped in snow is the Fusillade Mountain, and flanked on the right by Red Eagle Mountain.